NTS has a well trained and experienced booking team with multitudes of networks that helps them stay well connected to the majority of hotels and resorts all over Egypt. Our customers benefit from NTS excellent relations with all the hotels all over Egypt, which ensures convenient rates, space, upgrades and constant availability. NTS raise the slogan "Be Our Guest", as our only target is to satisfy diversity of tastes by offering comfortable accommodation in different destinations. NTS also owns & manage Five Stars Super Deluxe floating hotel: MS/ Royal Princess. In addition to two 5 stars deluxe floating Hotels: MS/ Grand Princess & MS/ Miss Egypt. NTS also owns a 4* Resort at Sharm El Sheikh: Noria Resort. 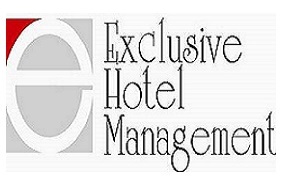 All our assets are managed by our sister company: Exclusive Hotel Management, and are accredited to Cristal Hygiene Risk Management System.